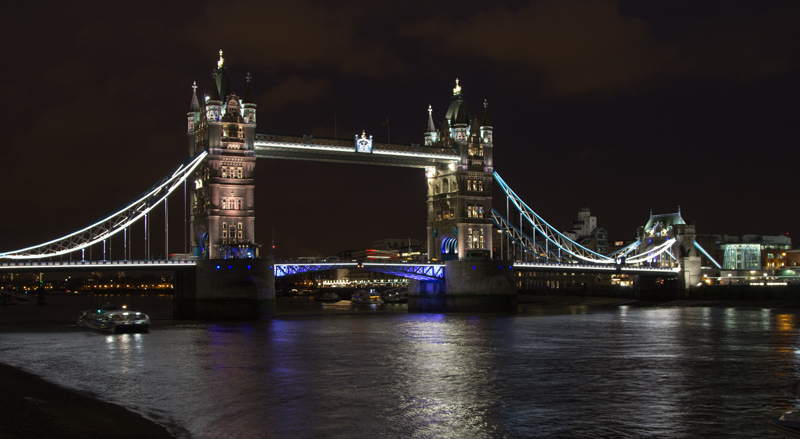 038 / 365 – Managed to bring my camera with me today, so after work a friend and I had a wander down around Tower Bridge today. It’s been a while since I have done some night time photography and I was very much rusty. Slightly disappointed with the results, the cold and rain forced us to call it a night earlier than expected. Tower Bridge is gorgeous at night. Beautiful management of light, beautiful photographic work, I love it !